The Super Bowl commercials for this year will feature less of the usual and more of the new unexpected things. With $4 million per 30-second ad, advertisers are looking for ways to stand out from the rest. This makes this year’s big game advertisement stage will somehow have a different beat. 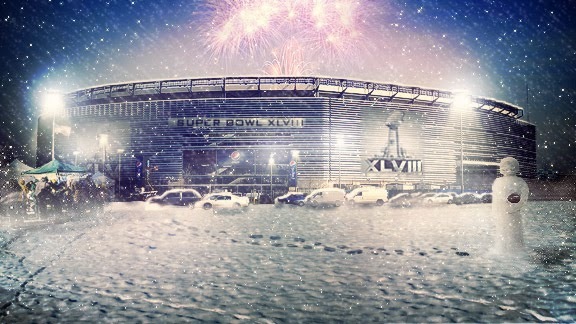 The big game will be held on February 2, at the MetLife Stadium, East Rutherford, New Jersey. In last year’s Super Bowl fans experience an innovative and really smart strategy from Oreos with it’s “You can still dunk in the dark” news feed via Twitter right after the black out. Speaking of Twitter, last year was the rise of pre-game screenings via social media outlets. This strategy from other brands helped them promote their ads for the main event, but it diminished the surprise factor for the big game itself. Last year’s ad during the big game can be considered as the year of the woman with more commercials acknowledging the women viewers of the big game. Celebrities are common in Super Bowl advertisements, but this year, there will be more first-time celebrities that will be featured in the ads to promote the brands. Laurence Fishbourne will be in the Kia ad ad featuring the K900 luxury sedan. Fishbourne will be playing as Morpheus, his iconic role in the 1999 cult classic hit The Matrix. In the advertisement, Morpheus will offer a couple the choice of their lives. The choice will mimic the “red pill, blue pill” choice that the poker-faced rebel leader gave to Neo, who was played by Keanu Reeves in the movie. In the Kia Super Bowl ad, there will be a major twist to Morpheus, which will make the commercial humorous and may even alter the fans’ notion on who Morpheus really is, according to Fishbourne. YouTube phenomenon, Korean rapper Psy could have been in a Super Bowl ad for the first time. However, Wonderful Pistachios replaced him with Stephen Colbert in its two 15-second commercials during the big game. According to Paramount Farms marketing head Marc Seguin, they replaced Psy because they want someone who can resonate with their target consumers. As Americans gradually become health conscious by eating healthier foods, Super Bowl ads will also be featuring more good for the health foods and less junk foods. Wonderful Pistachios, Dannon and Chobani are leading the pact of this new trend. Car ads are not new to Super Bowl, but this year, Jaguar will be joining the roster of advertisers to promote its F-Type series. Nestle is a first-timer advertiser for this year’s Super Bowl promoting its Butterfinger Peanut Butter Cup, while Intuit will capitalize on its small business contest where the winner will be featured during the big game on Feb 2.